The favorite sandwich of my dad and husband is the Reuben. 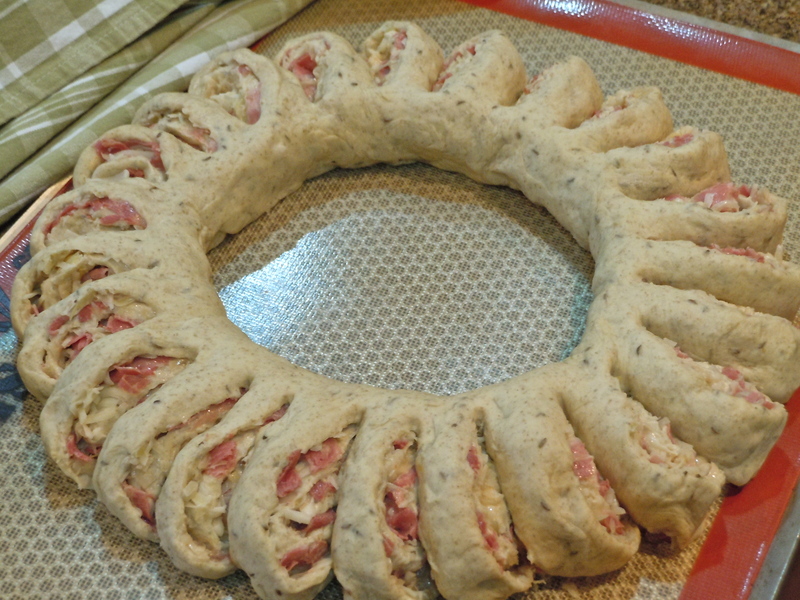 So in honor of them I made the Reuben Sandwich Ring. Homemade rye bread with corned beef, sauerkraut, Swiss cheese, and Thousand Island dressing all rolled and twisted in pull-apart form to be dipped! In large bowl of mixer, dissolve yeast in warm water. 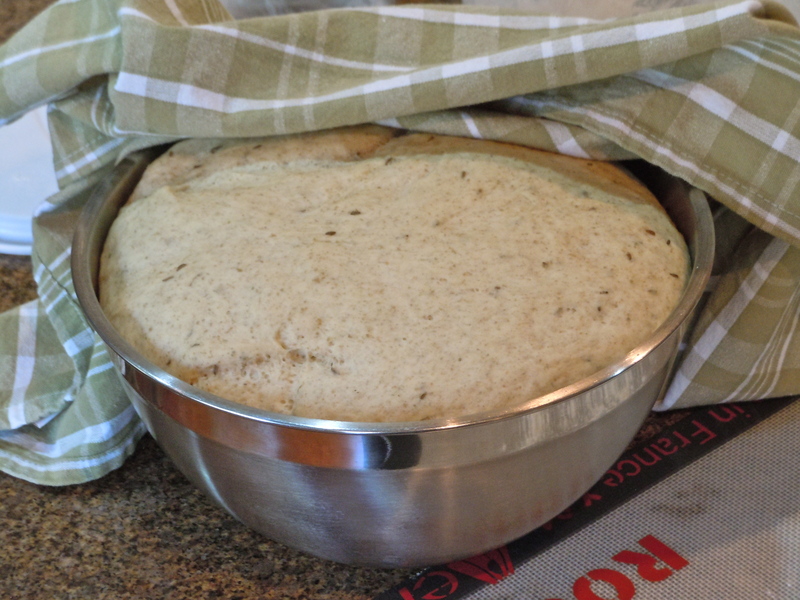 Sprinkle sugar over yeast, let sit until foamy. Add butter, egg, salt, rye flour, and 2 cups flour. Beat on medium speed for 3 minutes. Stir in enough remaining flour to form soft dough (dough will be sticky). Knead. Place in greased bowl, turning to grease top, cover and let rise in a warm place until doubled, about 1 hour. 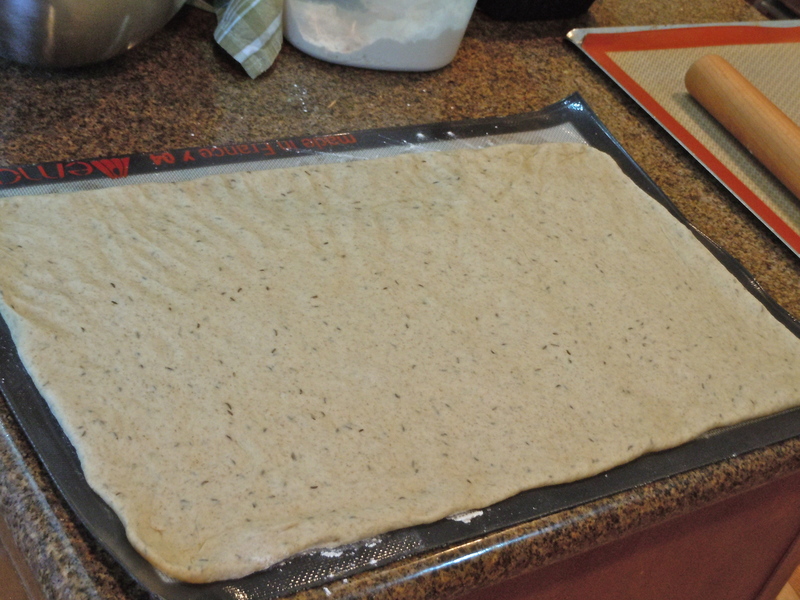 Roll out dough to a rectangle approx. 20″x12″. 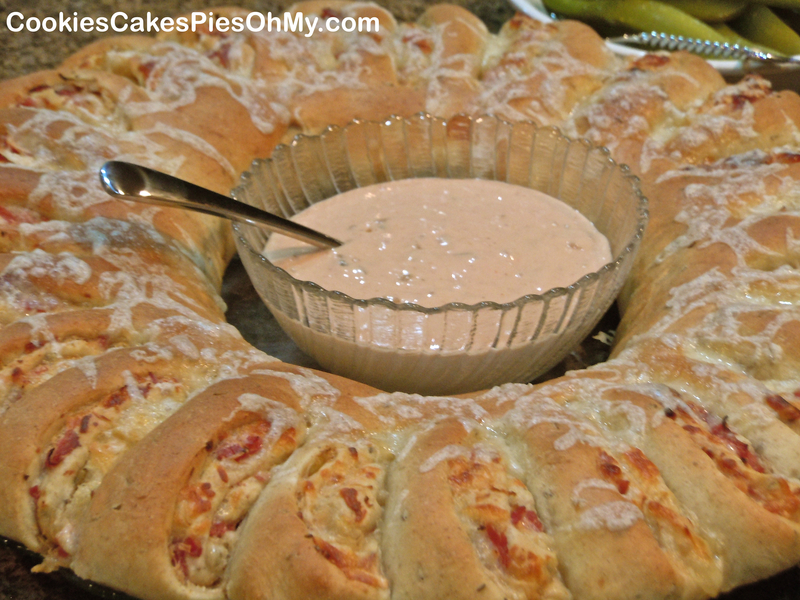 Spread dressing over dough. Layer filling ingredients in order: 1½ cups cheese over dressing, then sauerkraut over cheese, then corned beef, another 1½ cups cheese (save about 1/2 cup cheese for top if desired). Roll up, starting with a long side, pinch seam to seal. Place seam side down on a silpat or sprayed baking sheet, pinch ends together to form a ring. With kitchen scissors, cut from outside edge to two-thirds toward center of ring at about 1″ intervals. Separate strips slightly, twist to allow filling to show. Cover and let rise until doubled, about 30 minutes. Bake at 375° for 25-30 minutes or until golden brown and bread is done. Sprinkle remaining cheese on top for last 5 minutes of baking if desired. Serve with Thousand Island dressing for dipping. Pull apart, dip, and enjoy! Yum! I think I will make this for dinner! Thanks for sharing! Hope you like it, thanks for visiting!